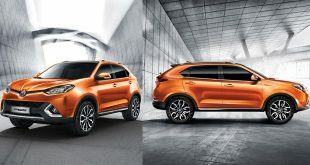 After a long wait, Morris Garages (MG) Philippines finally unveiled its all-new sport utility vehicle (SUV), the MG GS, at the Fashion Walk area of Greenbelt 5 in Makati City. 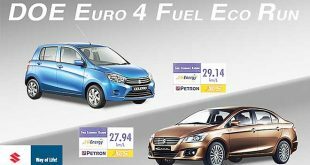 The Suzuki Celerio, one of Suzuki Philippines’s (SPH) best-selling cars, clinched the top spot for fuel efficiency in the gasoline-engine category at the first Euro 4 Fuel Economy Run organized by the Department of Energy (DOE) in partnership with Petron Corp.
By Kris M. Crismundo / Philippines News Agency Automobile sales in the first quarter (Q1) of 2016 increased by 21.6 percent, a joint report of the Chamber of Automotive Manufacturers of the Philippines Inc. (Campi) and the Truck Manufacturers Association (TMA) revealed last Monday. 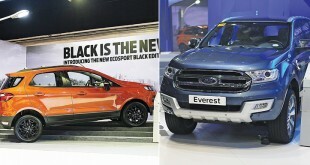 Ford Philippines is optimistic that it would sustain its growth momentum in the local market, one that’s driven by strong demand for sport utility vehicles (SUVs), it was learned recently. South Korean car manufacturer Hyundai is considering the Philippines as its new location for a car assembly or car-parts manufacturing plant, Hyundai Asia Resources Inc. (HARI) President and CEO Ma. Fe Perez-Agudo told reporters recently. 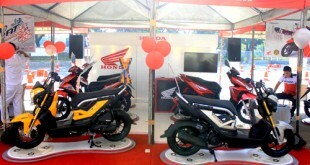 Honda Philippines Inc. continues to amaze and surprise young motorcycle enthusiasts with the grand launch of its all-new Click125i during the Inside Racing Festival at the World Trade Center in Pasay City on April 2 and 3, 2016. 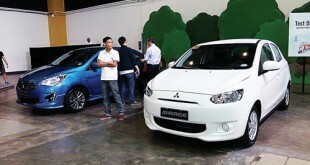 By Kris M. Crismundo / Philippines News Agency Tokyo-based Mitsubishi Motors Corp. (MMC) will make the Philippines the new production hub for its Mirage automobiles, once the manufacturing of the car’s models hatchback and sedan units is enrolled in the Comprehensive Automotive Resurgence Strategy (CARS) Program of the government. Fairs & More Inc. (FMI), a subsidiary of the European Chamber of Commerce of the Philippines (ECCP), is making a push for European brand cars to get more headway in the country. 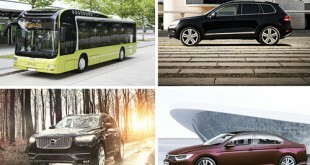 Stockholm—Volvo Cars recently posted an annual sales record for 2015, as operating profits more than tripled over the year for the global automaker. 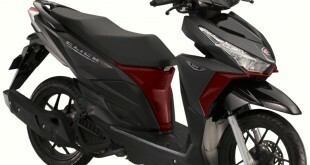 Leading motorcycle manufacturer Honda Philippines Inc. (HPI) recently launched Generation-S, a new breed of smart and responsible riders who choose and value Honda scooters for their so-called Smart Technology.